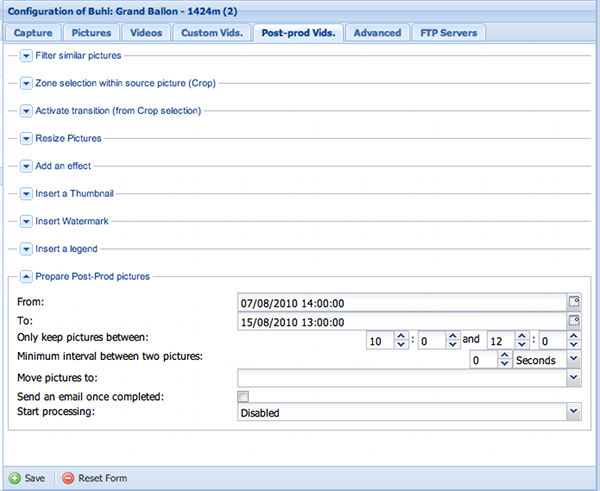 This tab has been created to allow batch manipulation, it will edit a very large number of pictures automatically. This module let you create a transition/pan/zoom effect in your images. Insert a thumbnail displaying a zoomed section of a particular area. This section is very similar to "Custom Vids. tab), with the exception of "Move pictures to" option. We strongly advise to move pictures to a dedicated source specifically created to host your modified pictures to ensure no modifications will be done to original pictures.